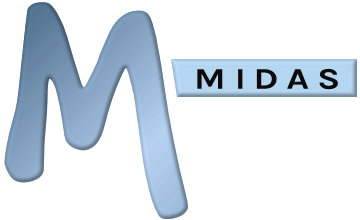 We can accept a official Purchase Order for a "cloud-hosted" edition of MIDAS from any organization. Upon receipt of your PO, your order will be processed and your cloud hosted MIDAS will be set up and enabled ready for use. We can accept a official Purchase Order for a "self-hosted" edition of MIDAS from recognized Educational & Government entities within the UK. Upon receipt of your PO, your order will be processed and we will provide confirmation of your purchase, download/installation instructions and your Product Key (required to unlock and install the software). In order to combat fraud, your MIDAS Product Key and download/installation instructions will only be released once full payment has been received. If you would purchase MIDAS via a PO, please check prices at https://mid.as/purchase, and then forward your Purchase Order to sales@mid.as. Alternatively, please contact us if you require a formal written quotation in order to raise your official PO. Please note: Our standard payment terms are 30 days from date of invoice. Please read this important information if you intend to pay by cheque/check.